How to watch Guardian: The Lonely and Great God: Season 1 (2016) on Netflix France! Sorry, Guardian: The Lonely and Great God: Season 1 is not available on French Netflix, but you can unlock it right now in France and start watching! With a few simple steps you can change your Netflix region to a country like Japan and start watching Japanese Netflix, which includes Guardian: The Lonely and Great God: Season 1. We'll keep checking Netflix France for Guardian: The Lonely and Great God: Season 1, and this page will be updated with any changes. Guardian: The Lonely and Great God: Season 1 is not available in France BUT it can be unlocked and viewed! In his quest for a bride to break his immortal curse, a 939-year-old guardian of souls meets a grim reaper and a sprightly student with a tragic past. Stuck between death and his past -- but a clairvoyant young woman and an amiable chaebol heir can help keep him human. Season 1 of Guardian: The Lonely and Great God has 16 episodes. Because different Netflix countries have different availability for episodes, you'll need to check the episode listing below to see which are available in France. After Kim Shin is sentenced to death for treason, he is reborn and wanders the earth in search of the bride who can release him from his immortality. 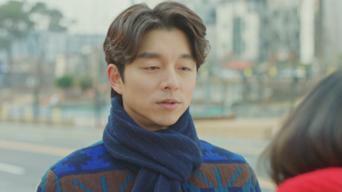 Eun-tak follows Shin and suddenly finds herself transported to Quebec. Realizing she is in a foreign country, she is convinced of Shin's true nature. 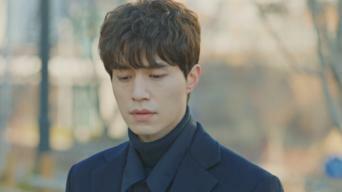 Shin and a Grim Reaper rescue Eun-tak after she is kidnapped by loan sharks. Shin has Deok-hwa investigate Eun-tak's aunt who got her into trouble. Shaken when Eun-tak tells him that she could see the sword all along, Shin still wants to live. The Reaper offers to bring her to the afterlife. Sunny and the Reaper meet again and go to a café. She grows impatient and tries to have a conversation, but when she asks his name he abruptly leaves. Shin sees Eun-tak in the future and asks her to pull out the sword. But Eun-tak doesn't understand the consequences that would bring. When Eun-tak returns home after her test Shin, Deok-hwa and the Reaper greet her with a cake. She and Shin head out to the movies. Eun-tak finally takes hold of the sword but Shin pushes her away. She is happy to know that she is the bride, but he doesn't seem to share her joy. 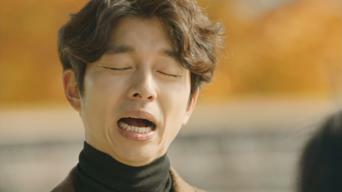 After hearing the truth of the sword from the Reaper, Eun-tak runs away from Shin. He looks everywhere he can think of but she is nowhere to be found. 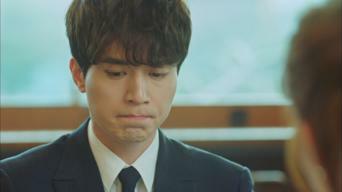 After the Reaper forgets that he erased Sunny's memory and makes a slip of the tongue, she demands to know who he is and why he knows her real name. Shin learns from the Reaper that Sunny is the reincarnation of his sister. They go to the chicken shop, but the incredulous Sunny tells them to leave. Eun-tak remembers the Reaper's words when she sees a creepy ghost while at work. Shin and the Reaper realize that Deok-hwa is not who he seems. The Reaper receives a punishment from the underworld authorities for revealing his identity and using his special powers for his own purposes. Shin pulls out the sword to protect Eun-tak from Park Joong-heon. He then departs for a desolate place where he struggles against loneliness. Eun-tak is suspicious when Shin suddenly appears on the street in Canada, but he reminds her of her promise to treat him to a meal. Shin proposes to Eun-tak amid the falling cherry blossoms. On a whim he wants to have the wedding in a few days, so they jump right into preparations.